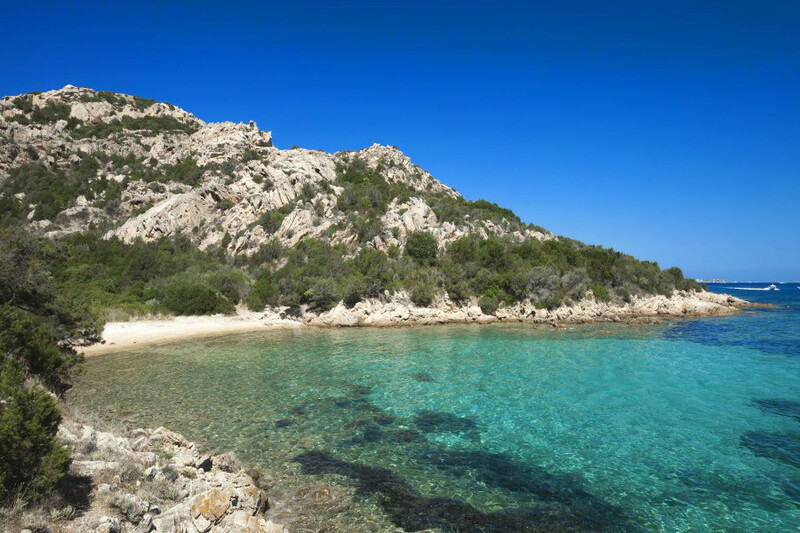 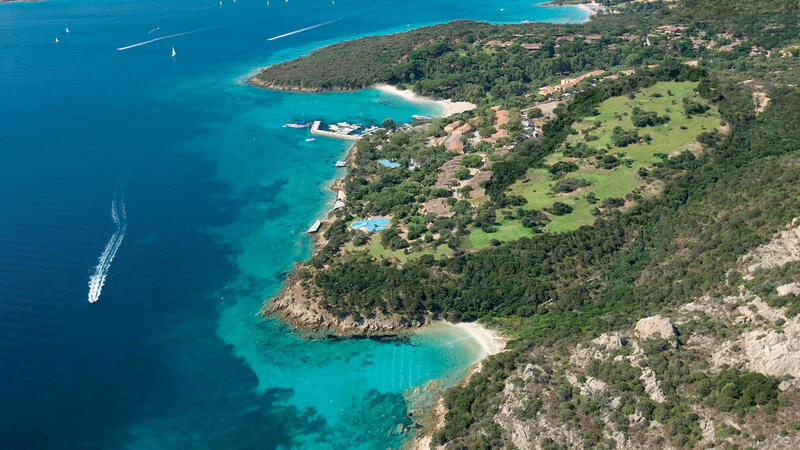 Discover the crystalline sea of the North of Sardinia and the beautiful fine sandy beaches a stone’s throw from the 5 star Hotel Capo d’Orso. 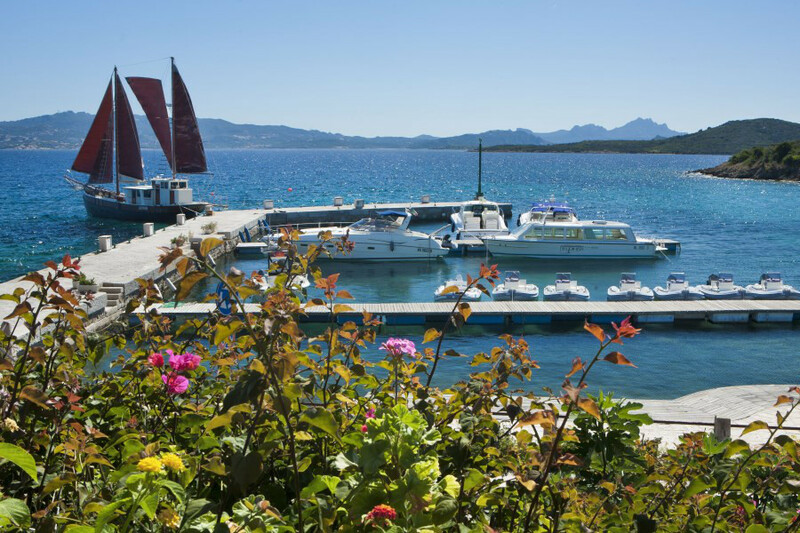 The Hotel Capo d’Orso is set in one of the most charming and delightful locations of the North of Sardinia, in perfect harmony with nature. 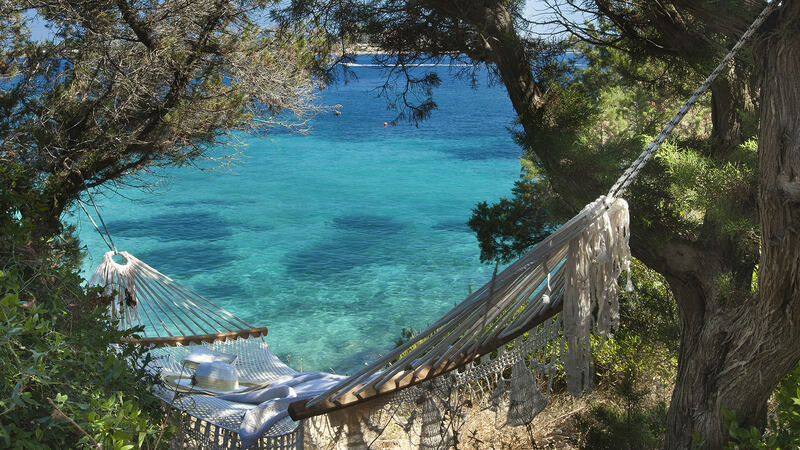 Immersed in luxuriant vegetation amidst green Mediterranean gardens, just a few metres from the transparent waters of the most beautiful part of Sardinia. 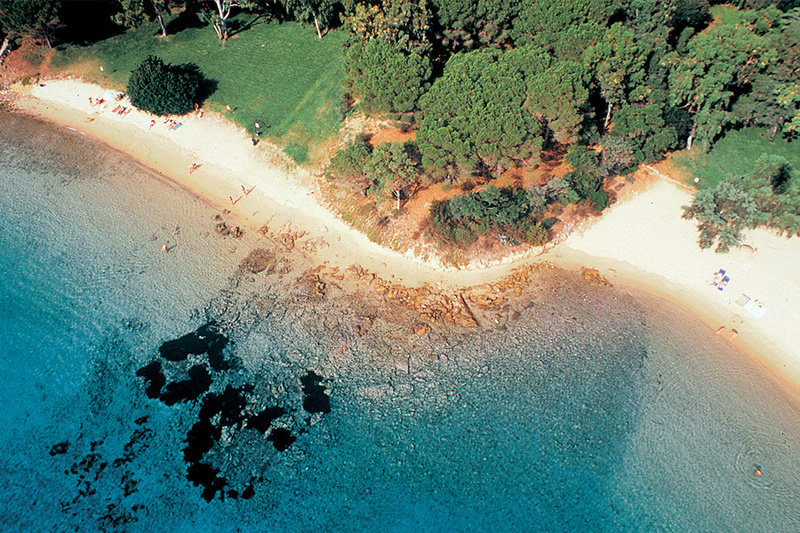 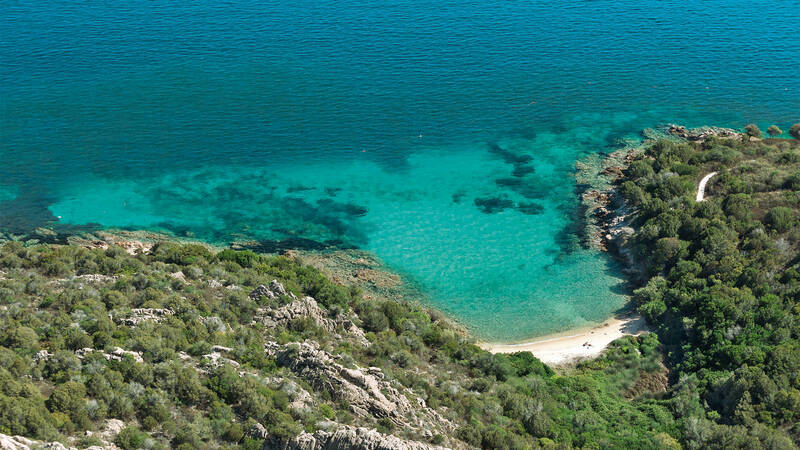 The beaches at Cala Capra and Cala Selvaggia, which mark the two boundaries of the hotel are perfect for giving you endless moments of relaxation and lengthy swims in the crystalline waters of the North of Sardinia. Cala Capra, sheltered from the Mistral wind is just below the Hotel, complete with sun loungers and beach towels while Cala Selvaggia is a romantic and exclusive bay which is reached on foot along green paths running by the sea, and surrounded by the scent of the Mediterranean maquis as well as hammocks for relaxing in. 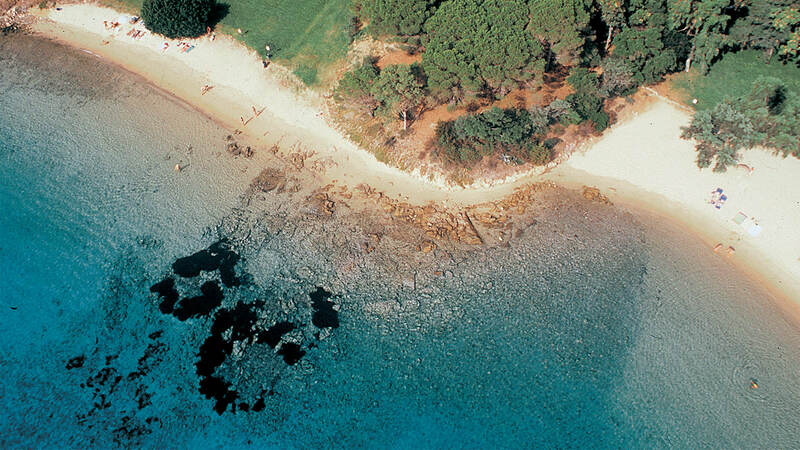 To make your holiday even more special the Hotel Capo d’Orso has installed 5 wooden solariums directly over the sea equipped with comfortable mattresses and soft beach towels. 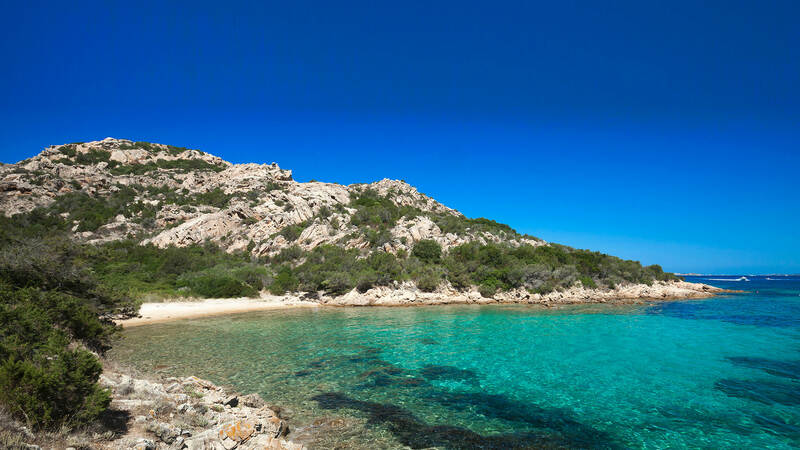 For nature lovers, walking along winding secret paths you can discover the exclusive little bays hidden like pearls among the rocks and juniper trees between the hotel and the lighthouse at Capo d’Orso. 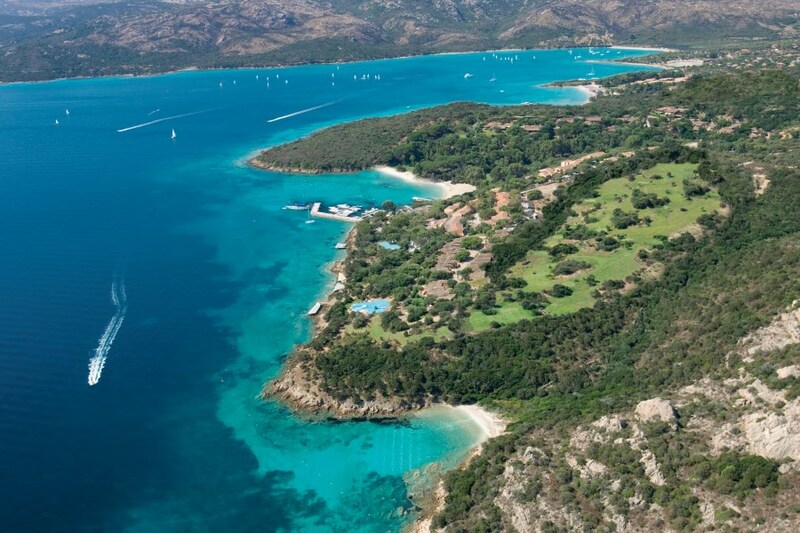 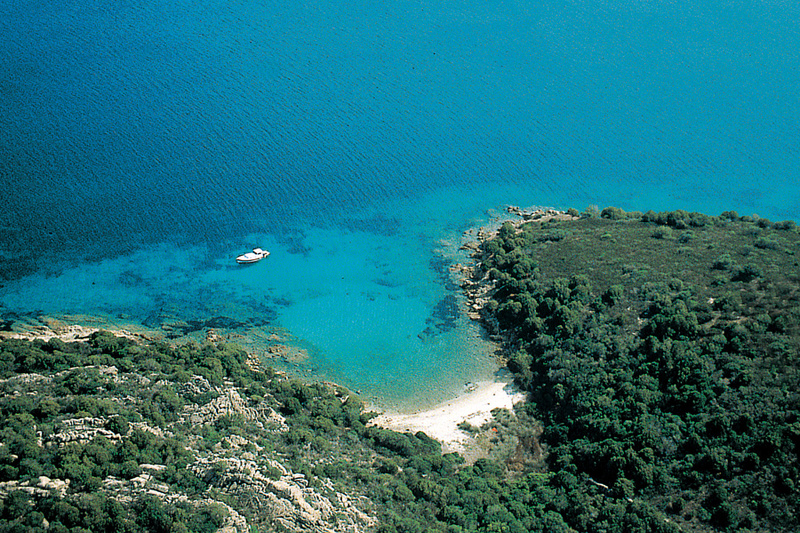 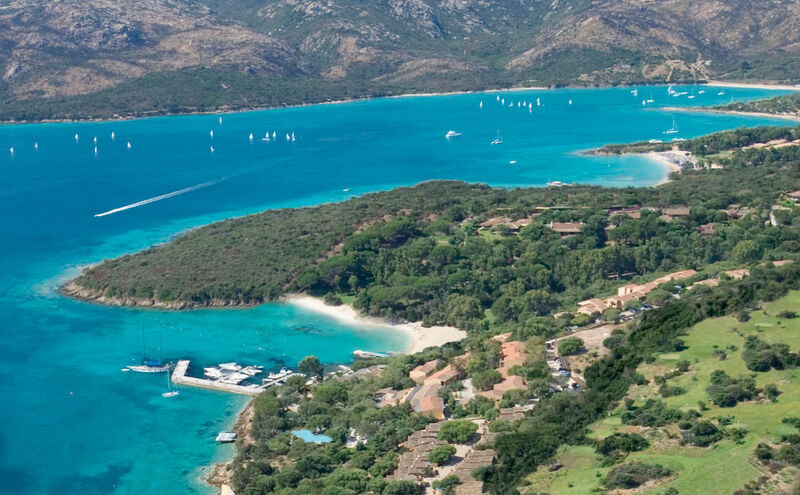 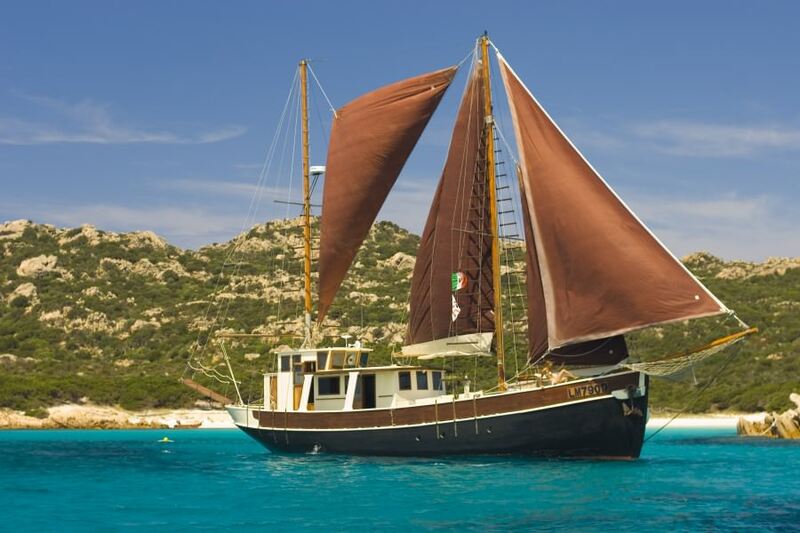 There are exclusive daily excursions departing directly from the Hotel Capo d’Orso’s private marina, either with the hotel’s boats or rented dinghies for you to discover the enchanting islands of the La Maddalena Archipelago and the Costa Smeralda and the South of Corsica: “every day a swim in a different paradise”.